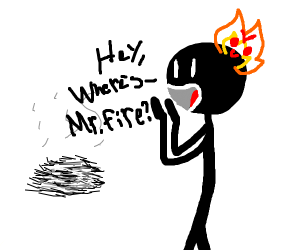 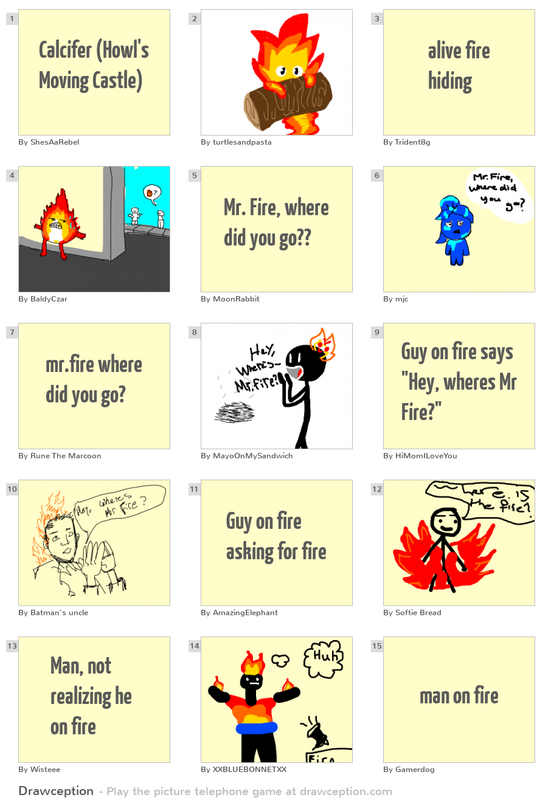 Mr. Fire, where did you go?? 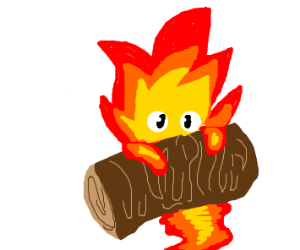 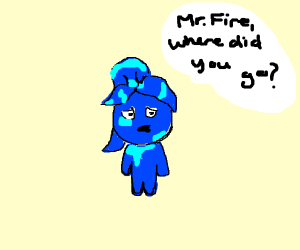 mr.fire where did you go? 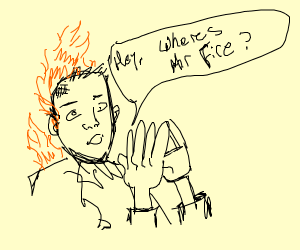 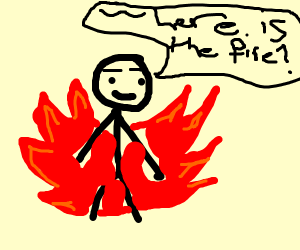 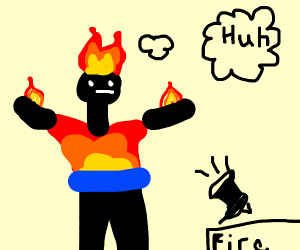 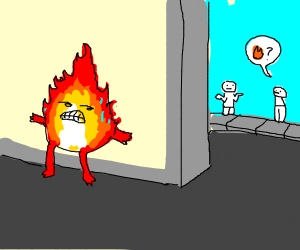 Guy on fire says "Hey, wheres Mr Fire?"